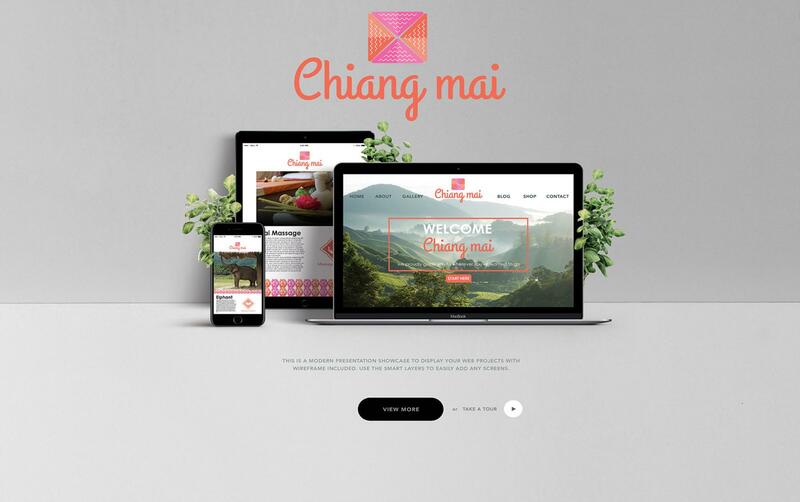 This is a city branding project for Chiang Mai, Thailand. 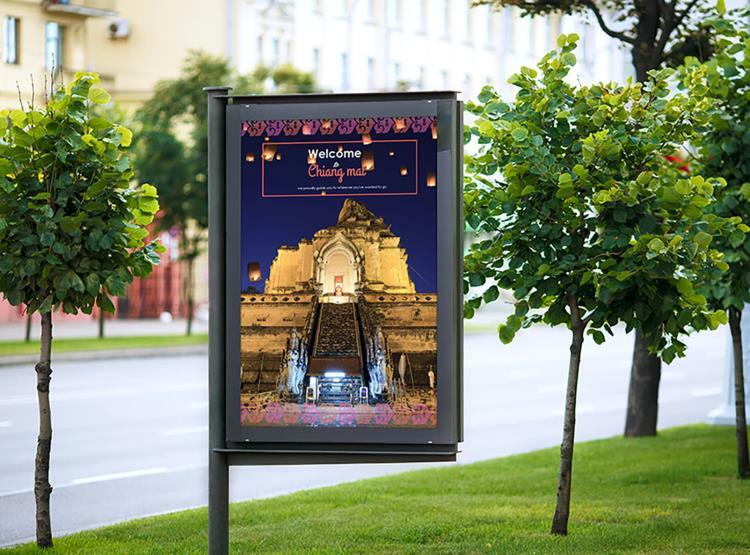 The challenges for this project were to pay tribute to the culture of an indigenous hill tribe and creating comprehensive system symbol to help visiting tourists. Chiang Mai is rated as one of the must visit destinations in Thailand; therefore, creating a branding for this city is essential for tourists who are not familiar with the area. This historical city is the home to hundreds of Buddhist temples and the indigenous hill tribe called “Kayans”. Kayans are a fascinating group of people, with unusual customs such as women needing to wear rings on their necks from a young age to create the appearance of a long neck, and using unique patterning in the clothing style. 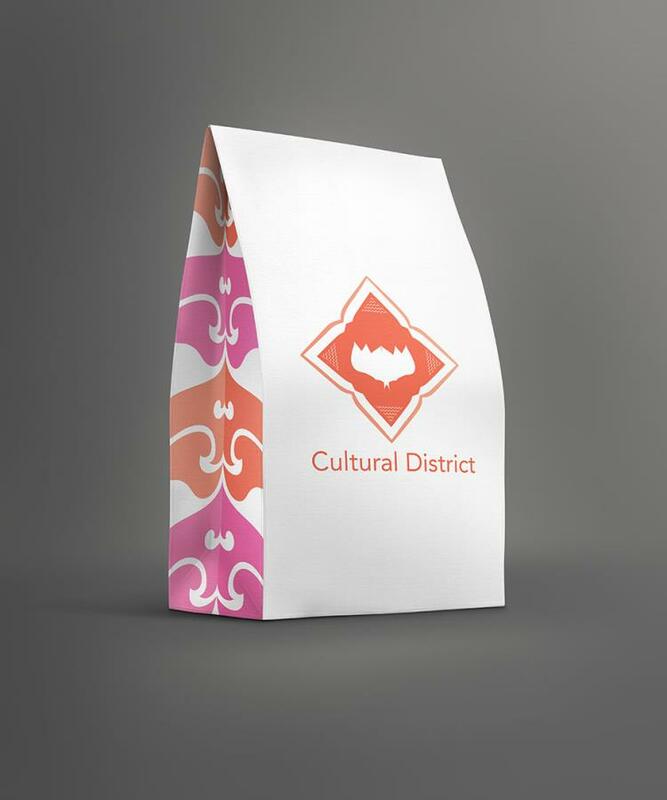 The Primary logo is extracted from the pattern design, use throughout Kayan’s clothes. The palette is based on a floral theme derived from the many attractive gardens located in Chiang Mai. Icons identified the nearly services available to tourists. 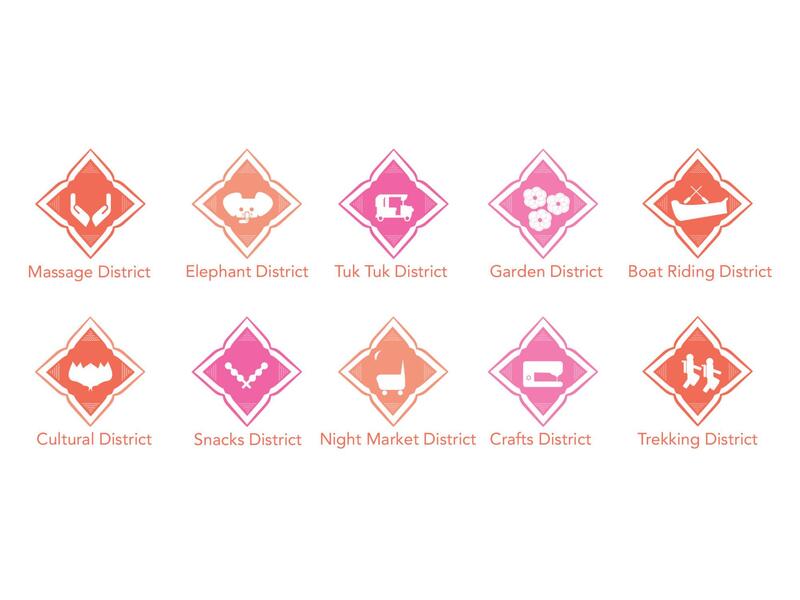 Each icon contained a universally simplified sign combined with Kayan¬ inspired pattern. The background artwork also comes from an ancient pattern inspiration, found on the walls of a Buddhist temple in Chiang Mai.